Ousted Kyrgyz president Kurmanbek Bakiyev, who is currently in Kazakhstan, has sent a resignation letter, according to Interim Kyrgyz Prime Minister Roza Otunbayeva. Bakiyev’s brother, however, claims it is a fake. 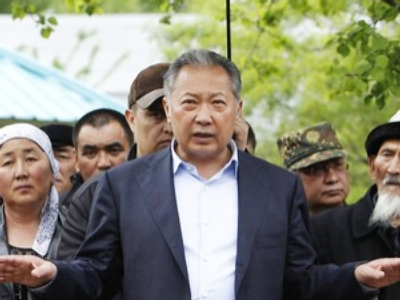 Conflicting reports are emerging on the news about Bakiyev who, together with his wife and two children, left the country on Thursday following violent protests in Kyrgyzstan which brought the opposition to power. On Friday, Otunbayeva showed journalists a copy of a document faxed from the Kazakh town of Taraz that she claimed was Bakiyev's resignation letter, RIA Novosti writes. “Recognizing my responsibility before the Kyrgyz people, and with the aim of preserving the state's unity, in accordance with the Constitution, I offer my resignation,” the letter reads. Later, the original document was delivered to the Kyrgyz capital, Bishkek, by a diplomat, said chief of the interim government premier's staff Edil Baisalov. “Otunbayeva met with a special envoy of the chairman-in-office of the Organization for Security and Cooperation in Europe (OSCE) and with the director of the OSCE center in Bishkek, who handed her an envelope with the original copy of Bakiyev's letter of resignation,” he said as quoted by Interfax. Nevertheless, the ousted leader’s brother Akhmad Bakiyev said earlier that “the issue of [the Kyrgyz president’s] resignation has not yet been raised.” He believes the faxed document was forged. 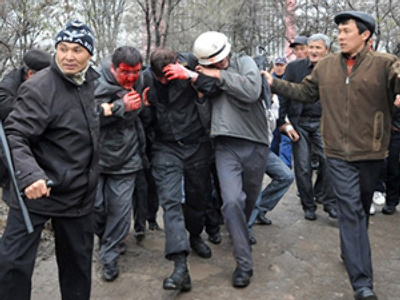 As the ousted leader’s supporters voluntarily lay down arms in the hometown of the former president, Itar-Tass reports, the new Kyrgyz government is demanding that the recent unrest in the country should be investigated with international observers taking part. Meanwhile, there are reports that Bakiyev could possibly leave Kazakhstan on Friday and fly to either Turkey or Latvia. Meanwhile, in an address to the nation, the head of the new government of Kyrgyzstan Roza Otunbayeva has accused ousted Kyrgyz President Kurmanbek Bakiyev of bringing the country to the brink of civil war. “He undermined the integrity of Kyrgyzstan and posed a threat for peace and stability in our country,” she said. She stated that none of Bakiyev’s supporters or relatives, who were with him until recently, have left Kyrgyzstan. Those who have committed crimes, she added, were detained and will stand trial. The Kyrgyz Prosecutor General’s Office has launched a case against Kurmanbek Bakiyev’s youngest son Maksim, who was heading the Central Agency for Development, Innovations and Investment, writes Itar-Tass. The agency is believed to have been controlling all the flow of finance in the country. 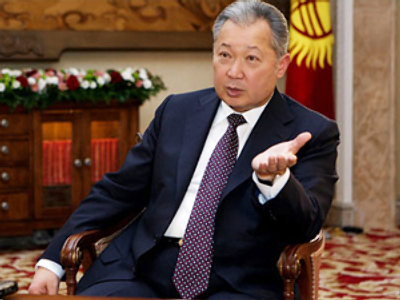 As such, Bakiyev Jr. has been accused of abuse of power and misappropriation of state credit. Currently it is not clear where exactly Maksim is. He had left Kyrgyzstan before the violent clashes rocked the country and was meant to take part in an American-Kyrgyz economic forum. The meeting was canceled by the US, though Maksim Bakiyev has not returned to his country. It is alleged the 32-year-old may be in Latvia, where he has business interests. However, his presence in Latvia is not certain. According to Baltic Reports website, Maksim was never issued a visa to Latvia, which means he arrived on a Schengen visa issued by another country. 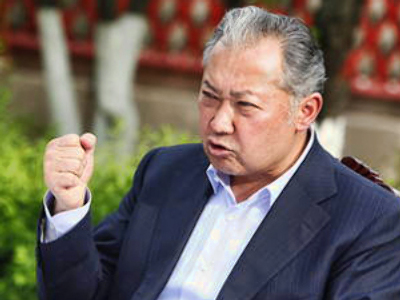 Meanwhile in Kyrgyzstan, TV channels that were owned by Maksim Bakiyev have been placed under the interim government’s control. 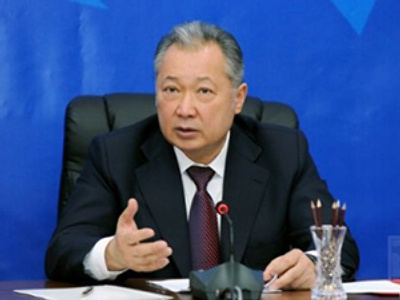 “Channel Five and Piramida television, once seized by Maksim Bakiyev in a corporate raid, have been placed under the interim government's control,” Deputy Prime Minister Omurbek Tekebayev said, according to Interfax. The Deputy PM added that the channels were “targeted in corporate raids” since 2005 and finally fell into Maksim Bakiyev’s hands. And since those channels “could be used by former officials to influence public opinion”, they will be controlled by the interim government. Tekebayev vowed that in half-a-year’s time the two channels will be returned to “their legitimate” owners if they emerge. Otherwise the channels will be sold or reincorporated.